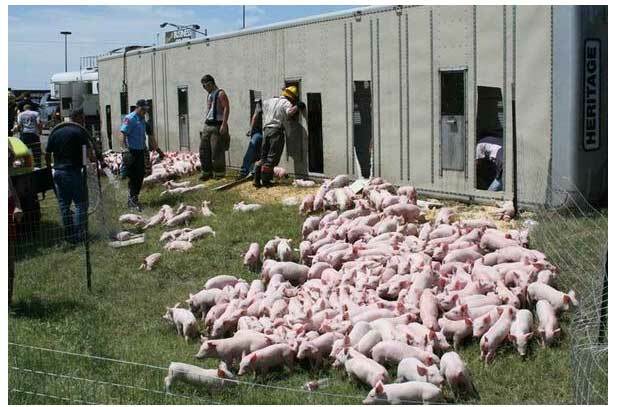 On July 30, 2009 a semi truck overturned in Pratt, Kansas, killing 500-600 piglets on their way to Iowa and injuring the driver. The truck was carrying 2,350 piglets total. The driver made a turn, and his load shifted, causing the truck to flip over onto the passenger side. The driver was wearing a seat belt and was hospitalized. 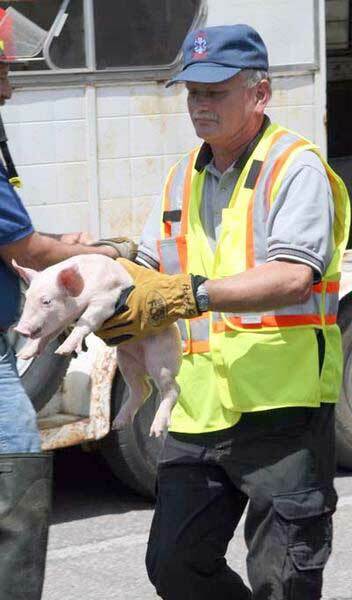 For the next several hours the road was closed and pigs were screaming as they were rescued. Local farmers brought empty trialers to transfer the pigs into. Workers purchased some wire fencing to make pens for the pigs and holes were cut in the top of the trailer to help get them out. 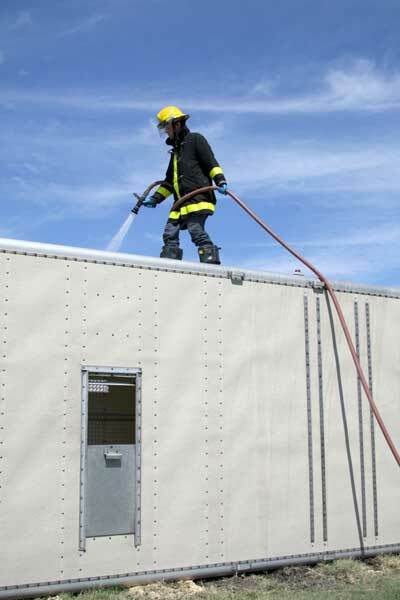 Once the top half of the rig was empty, they were able to get the truck back upright and they could unload the rest of the piglets from the side and back doors of the trailer. Some of the more badly injured pigs were euthanized. 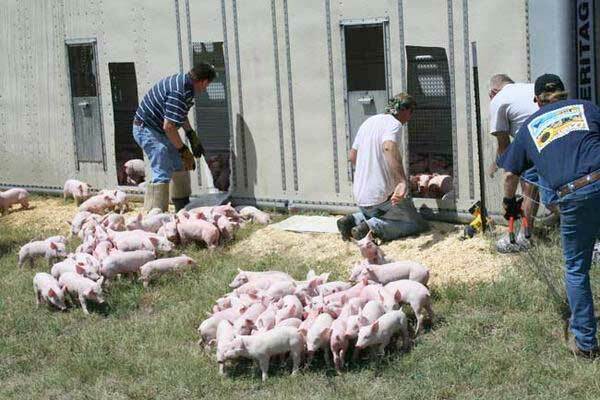 Once all the live pigs were removed and transported, volunteers removed hundreds of dead pigs from the trailer. They were taken to be “buried” in the Pratt County Landfill. Special permission was needed from the Kansas Dept. of Health & Environment.